Amerisleep's plant-based Bio-Pur™ memory foam is designed to enhance support, responsiveness, and temperature regulation. Amerisleep's plant-based Bio-Pur™ memory foam provides a more eco-friendly alternative to traditional petroleum-based foams. Bio-Pur utilizes plant-derived oils and extracts to replace the majority of petro-products as well as environmentally-conscious manufacturing processes. A look at the closed cell structure of other memory foam. Amerisleep's Bio-Pur™ memory foam dissipates heat and permits airflow. The large, open cell structure of our plant-based memory foam allows air to flow freely preventing heat build up. Get a lift and defy gravity. Move freely without feeling stuck in your mattress. 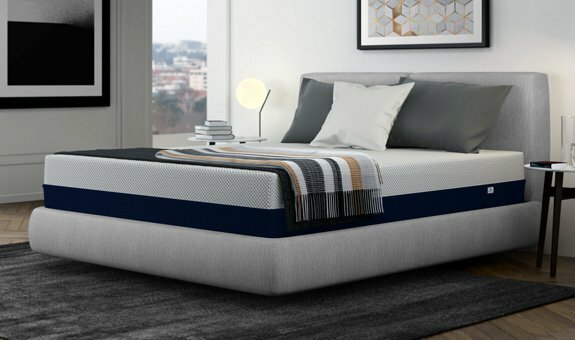 The temperature neutral properties of Amerisleep's Bio-Pur™ memory foam prevents the feel of the foam from fluctuating with temperature variations. Typically, visco foams become hard in cool rooms and soften in warm rooms or with body heat. The rapid response of our material allows you to move freely without feeling stuck in your mattress. 97%would recommend our mattresses to a friend. 94%think our mattresses are comfortable. 96%said our mattresses give good support. Our Bio-Pur™ memory foam is manufactured with patented VPF technology which produces virtually zero-emissions, meaning it does not add to air pollution. We also use plant-based materials in our foams to reduce environmental impact without compromising comfort.